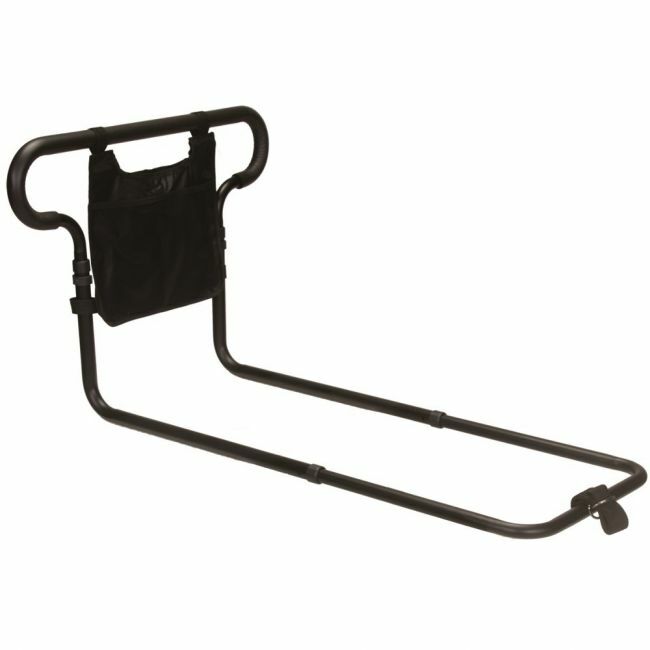 If you or a loved one has difficulty getting in and out of bed, the ECBR02 safety bed rail can help. Whether you’re recovering from surgery, like an injury or hip replacement, or are limited in mobility, this bed rail is designed to provide added stability and support. Height - 48cm / 19" to 56cm / 22"
Width - 36cm / 14"
Length - 91cm /36" to 99cm / 39"
Handle Width - 63cm / 25"